The index opened strong around 7322 and stayed positive for the entire session of trade to close near the highs at 7368.85, huge gain of 146.55 points. The broader market was strong with 1257 advances to 323 declines. The range stays at 7000-7500. 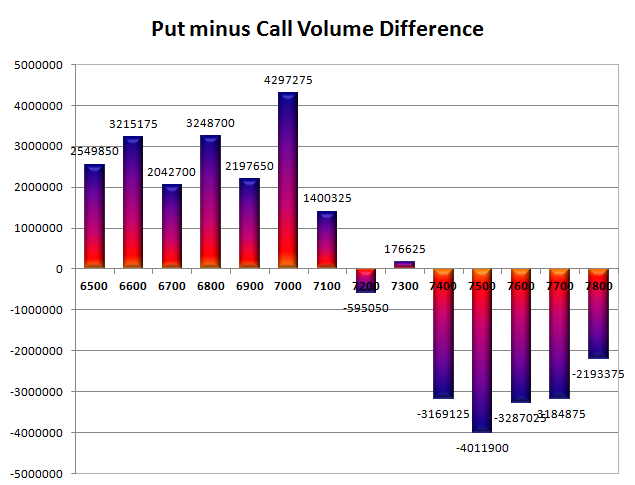 Call option 7400, 7600-7800 added huge 18.44 lacs OI with short covering seen at 7300 and below strike prices. Put option 7500-7000 added huge 43.29 lacs OI with profit booking seen at 6900 and below strike prices. Nifty Open Interest is at 1,99,47,525 up by 13,67,850, with increase in price, most probably huge long build-up. 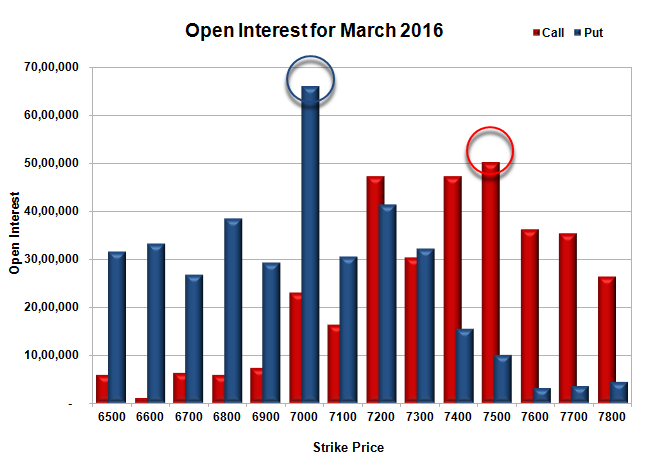 Bank Nifty Open Interest is at 20,51,970 down by 2,08,140, with increase in price, most probably huge short covering. 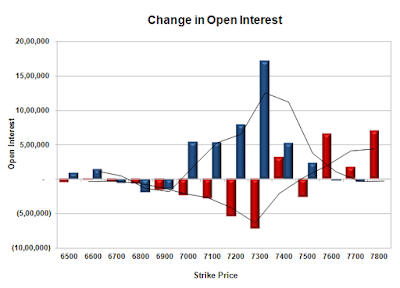 FII’s bought 6.39 lacs Futures, which includes net 20372 contracts long build-up and 5184 contracts short covering, with increase in net OI by 15188 contracts, includes 81911 longs to 56355 shorts for the day. FII’s Index future open contract as on date is 124574 Longs to 122133 Shorts, Net 2441 up by 25556 contracts. 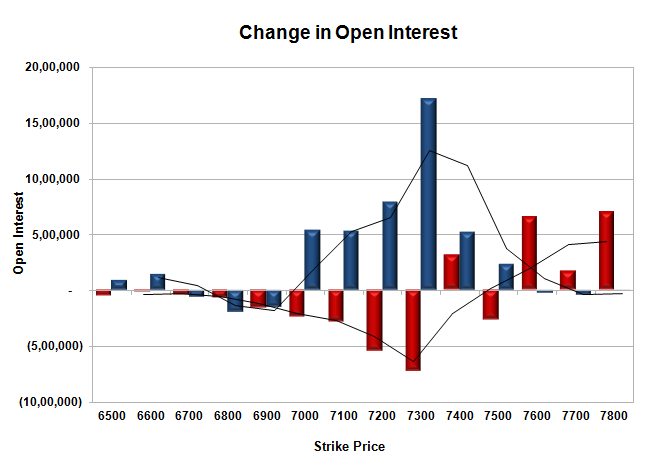 Initial support at 7300, with huge OI addition of 17.16 lacs and below that at 7200 with OI of 41.38 lacs. Initial resistance at 7400, with OI of 47.23 lacs and above that at 7500 with OI of 50.21 lacs. Day Range as per Option Table is 7246 - 7465 and as per VIX is 7296 - 7442 with 7352 as the Pivot.